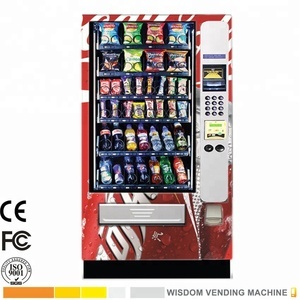 We are a professional and top manufacturer of vending machines. 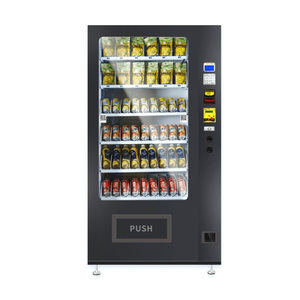 We are a professional and top manufacturer of vending machines. 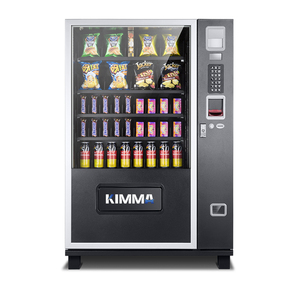 We are a professional and top manufacturer of vending machines. 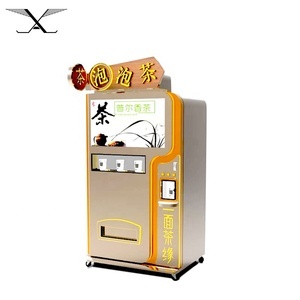 Guangzhou Lianye Commercial Robot Technology Co., Ltd.
Health safety feature on all trays. with rust-proof treatment. 3G remotely control is optional. 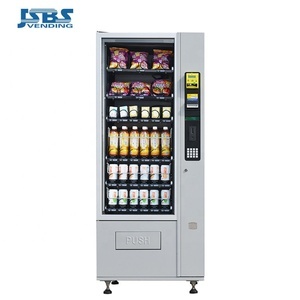 Beverage/food integrated vending machine, can be used for the sales of regular drinks and packaged foods. 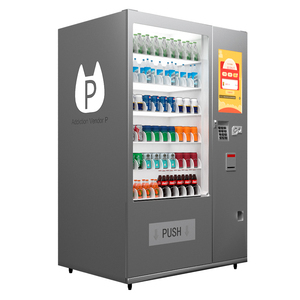 It is suitable for the sale of beverage, 550ml plastic bottled drink, and beverage. It can be sold as bread, biscuits, chips and other bagged foods, small cups, cigarettes and so on. @ Selections-10 cargo road, 6 tray, 5 quantities for each selection; 6*10*5=300; 60 Selections. Flexible Vendible items for can/bottle/box/snack/candy with various sizes. 6. 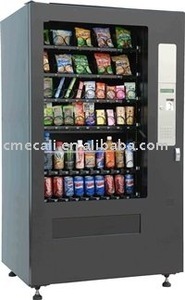 Snack Vending Machine pictures: snacks vending machine refrigerated For best services, plz feel free to contact Candy. 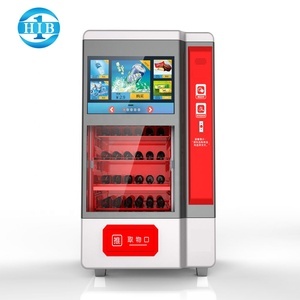 Alibaba.com offers 6,036 snack and drink vending machine products. 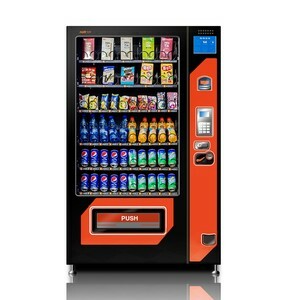 About 75% of these are vending machines, 1% are advertising players, and 1% are refrigeration equipment. 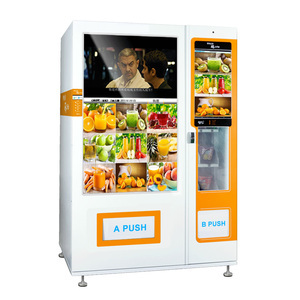 A wide variety of snack and drink vending machine options are available to you, such as paid samples, free samples. 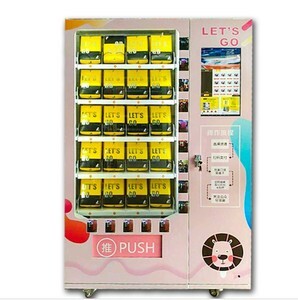 There are 6,054 snack and drink vending machine suppliers, mainly located in Asia. 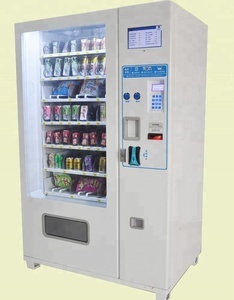 The top supplying countries are China (Mainland), Turkey, and Greece, which supply 99%, 1%, and 1% of snack and drink vending machine respectively. 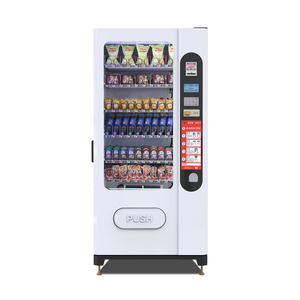 Snack and drink vending machine products are most popular in Domestic Market, North America, and Southeast Asia. You can ensure product safety by selecting from certified suppliers, including 2,168 with ISO9001, 886 with ISO14001, and 650 with Other certification.